At GOP convention, Mia Love dominates Carl Wimmer for 4th District nomination. Leah Hogsten | The Salt Lake Tribune Morgan Philpot received 36.74% of the delegate vote and was defeated by Utah Gov. Gary Herbert in a second round of balloting. Philpot, a former state lawmaker, had hoped to pick up rival candidate David Kirkham's delegates after Kirkham fell out of the running in a first ballot. 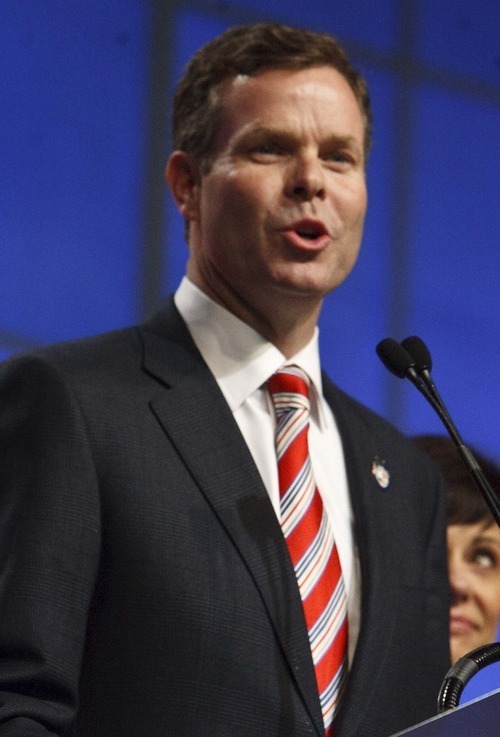 Leah Hogsten | The Salt Lake Tribune Utah attorney general candidates John Swallow (above) and Sean Reyes will face off in a June primary for the Republican nomination after neither met the 60 percent threshold to win the nomination outright. Both are seeking to replace Attorney General Mark Shurtleff, who is not seeking a third term; the winner of the June 26 primary will face Democrat Dee Smith in November. 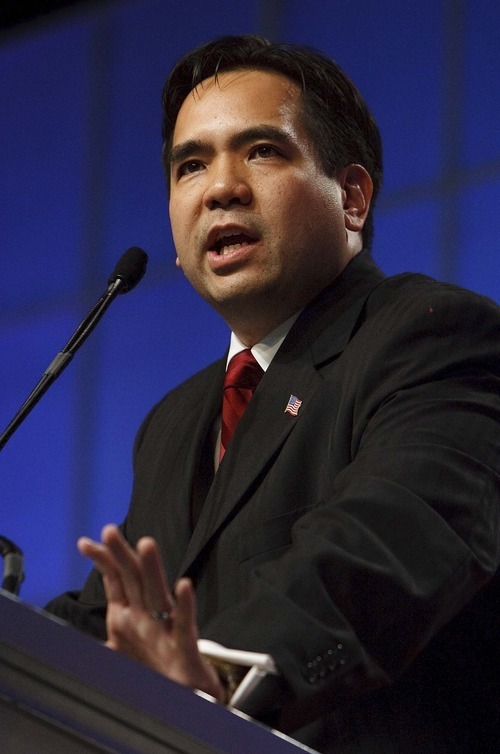 Leah Hogsten | The Salt Lake Tribune Utah attorney general candidates Sean Reyes (above) and John Swallow will face off in a June 26 primary for the Republican nomination. The two are competing for the office of retiring Attorney General Mark Shurtleff. 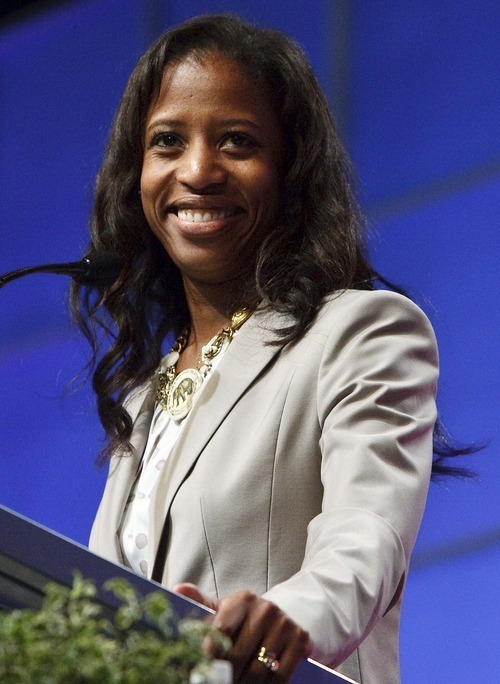 Leah Hogsten | The Salt Lake Tribune 4th Congressional District candidate Mia Love won the Republican nomination Saturday, defeating former Rep. Carl Wimmer at the state GOP nominating convention in Sandy at the South Towne Exposition Center. Leah Hogsten | The Salt Lake Tribune Saratoga Springs Mayor Mia Love captured the 4th Congressional District Republican nomination by knocking out former Rep. Carl Wimmer in a second round of balloting Saturday at the party's nomination convention. 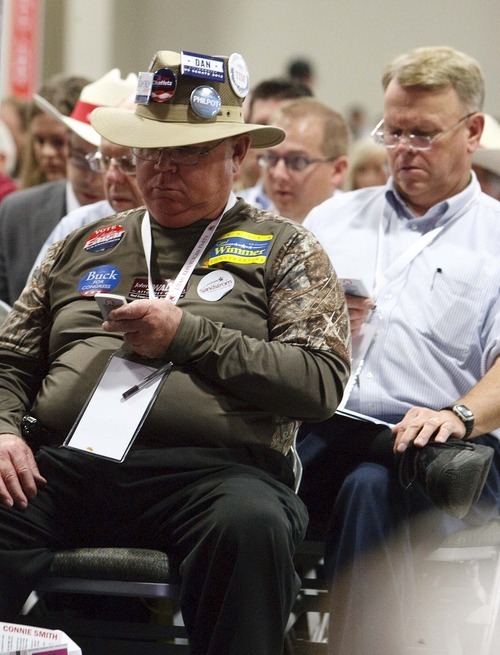 Leah Hogsten | The Salt Lake Tribune Utah Patrick Henry Caucus founder Carl Wimmer was defeated Saturday at the state GOP convention in his quest for nomination in the newly created 4th Congressional District. 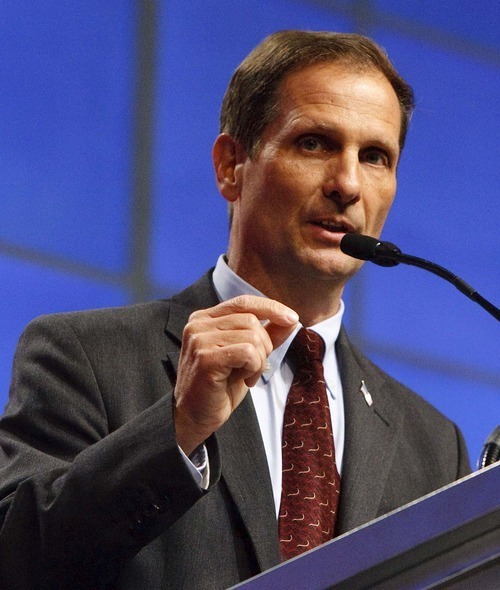 Leah Hogsten | The Salt Lake Tribune Chris Stewart defeated a crowded field of rivals to capture the GOP nomination in the 2nd Congressional District. Leah Hogsten | The Salt Lake Tribune Second Congressional District candidate Chuck Williams (left) and one of Williams' staffers (right) are angry after Williams' mic was shut off for calling fellow candidate Chris Stewart a "bald-faced liar." 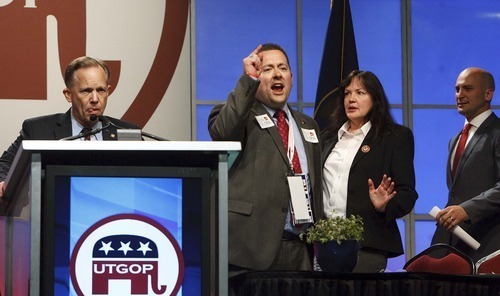 Williams was called to order by Utah GOP Chair Thomas Wright (far right). The Utah Republican Party held its nominating convention Saturday, April 21 2012, in Sandy at the South Towne Exposition Center. Leah Hogsten | The Salt Lake Tribune After 2nd Congressional District candidate Milt Hanks alleged that his fellow candidates David Clark, Cherilyn Eagar, Howard Wallack and Chuck Williams conspired to oust rival Chris Stewart with some damaging information -- Eagar (left), Williams (center) and Wallack (not shown) all withdrew their nominations and vocally put their support behind David Clark. 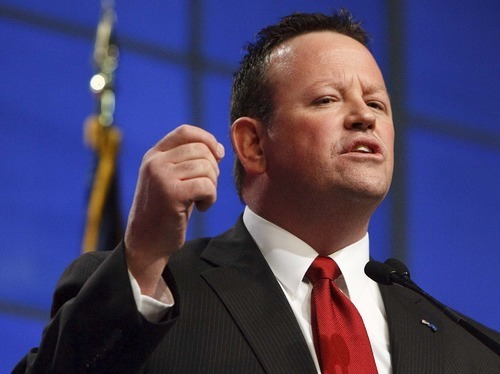 Stewart went on to win the Republican nomination. 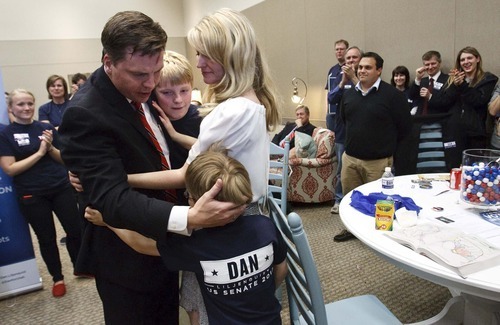 Leah Hogsten | The Salt Lake Tribune Former state Sen. Dan Liljenquist hugs his wife Brooke and sons Nate, 7, and Ben, 4, after learning that he and Sen. Orrin Hatch will face a primary election. Hatch came up just short of the support needed to claim his party's nomination for the seventh time, forcing him into a primary in June. 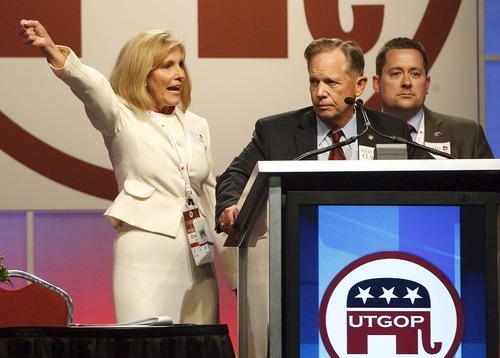 After two rounds of balloting, Hatch had the support of 59.1 percent, a handful of votes short of the 60 percent threshold to claim the nomination outright.The Utah Republican Party held its nominating convention Saturday, April 21 2012 in Sandy at the South Towne Exposition Center. Leah Hogsten | The Salt Lake Tribune Second District Republican contender Milt Hanks threw out charges at the last minute before balloting on Saturday, alleging that four candidates conspired to oust rival Chris Stewart with some damaging information. Hanks, the Eureka mayor, said hopefuls David Clark, Cherilyn Eagar, Howard Wallack and Chuck Williams came to him recently to say they had negative information on Stewart and that they all needed to band together to get rid of him. The allegations brought some cheers by delegates, but left many of them a tad stunned. The Utah Republican Party held its nominating convention Saturday, April 21 2012 in Sandy at the South Towne Exposition Center. 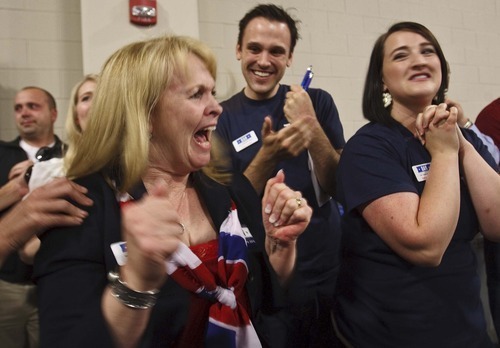 Leah Hogsten | The Salt Lake Tribune Former state Sen. Dan Liljenquist's mother-in-law Shelley Davies celebrates after learning that Lilenquist and Sen. Orrin Hatch will face a primary election. Leah Hogsten | The Salt Lake Tribune Utah Gov. 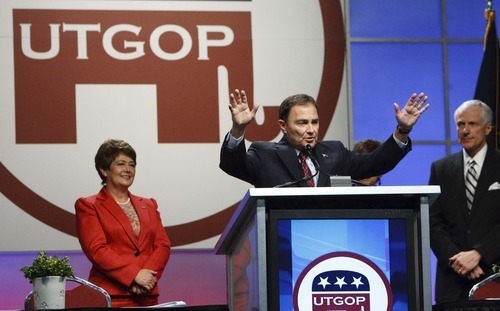 Gary Herbert won the nomination with 63.26% of the vote. He defeated multiple candidates to claim the GOP mantle -- finishing off former state lawmaker Morgan Philpot in a second round of balloting. Leah Hogsten | The Salt Lake Tribune Delegate Jay Larson of Utah County and fellow delegates cast their ballots electronically with a receiver at the Utah Republican Party Convention on Saturday at the South Towne Exposition Center. Leah Hogsten | The Salt Lake Tribune Will and Joseph Cannon play a game in candidate Dan Lilenquist's lounge. The Utah Republican Party held its nominating convention Saturday, April 21 2012, in Sandy at the South Towne Exposition Center. 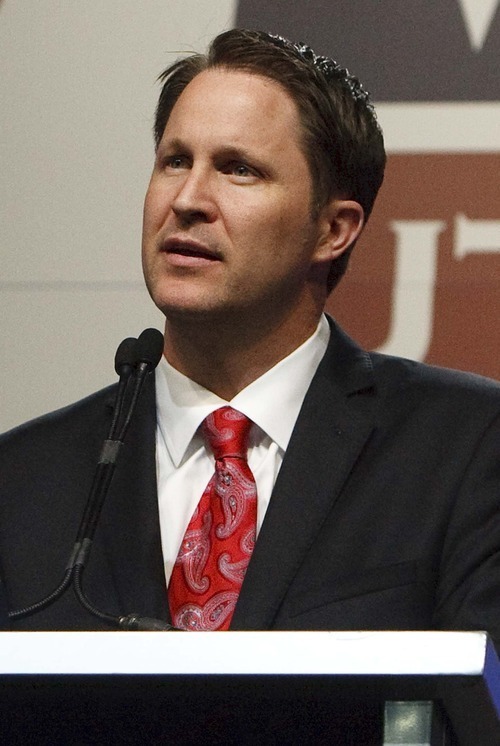 Sandy • Republican delegates forced six-term Sen. Orrin Hatch into a Republican primary with former state Sen. Dan Liljenquist by fewer than 50 votes Saturday while they nominated Mia Love, the daughter of Haitian immigrants, to take on Rep. Jim Matheson. And last-minute shenanigans scarred an otherwise quiet 2nd Congressional District race. Most of the attention was focused on whether Hatch could survive a spirited, tea-party backed challenge. He did, almost  but not quite  clinching the nomination. By the end of a long day at the South Towne Convention Center much of the focus shifted to Love's fiery speech that helped win her the GOP nod in the new 4th Congressional District over former state Rep. Carl Wimmer, a Utah Patrick Henry Caucus founder, and to a raucous clash in the 2nd District that ended with several candidates dropping out and calling for an investigation into last-minute allegations that they said helped boost Chris Stewart to the nomination. 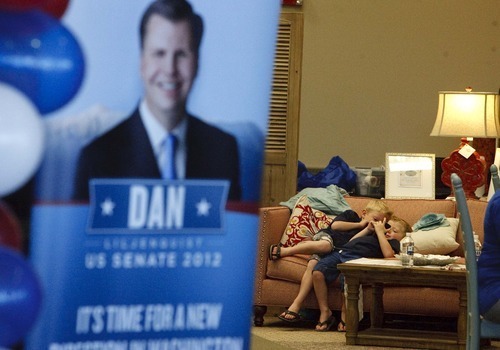 Hatch's primary turned out to be a rare outcome in major races, with Gov. Gary Herbert, Rep. Rob Bishop and Rep. Jason Chaffetz clinching their party nominations, along with newcomers Love and Stewart . Primary elections will decide the Republican candidates in the race for attorney general, state auditor and a handful of legislative races. Senate • After two rounds of balloting, Hatch received 2,313 votes or 59.1 percent of the delegate vote. He needed the support of 32 more people to hit the 60 percent threshold and claim the nomination outright. Eight other challengers, including state Rep. Chris Herrod, were eliminated in the first round, four of them throwing their support to Liljenquist, helping him jump from 28 percent of the vote to just over 40 percent. He left energized. "It is the time for a new generation of leaders. We know it to our bones," said Liljenquist, 37. "We have two more months. We feel good about our chances." Hatch will begin the next phase with momentum from convention and far more financial support and says he's confident he will come out ahead this time. "We're going to win it," he said, calling the vote "a tremendous victory" even if he didn't win the nomination outright. "We're pretty darn happy about what did happen. It sent a message. It says that this tough old bird isn't someone you can just trample on." The race has received widespread national attention, with tea party groups such as FreedomWorks targeting Hatch and spending more than $700,000 in a campaign to defeat him and boost Liljenquist. 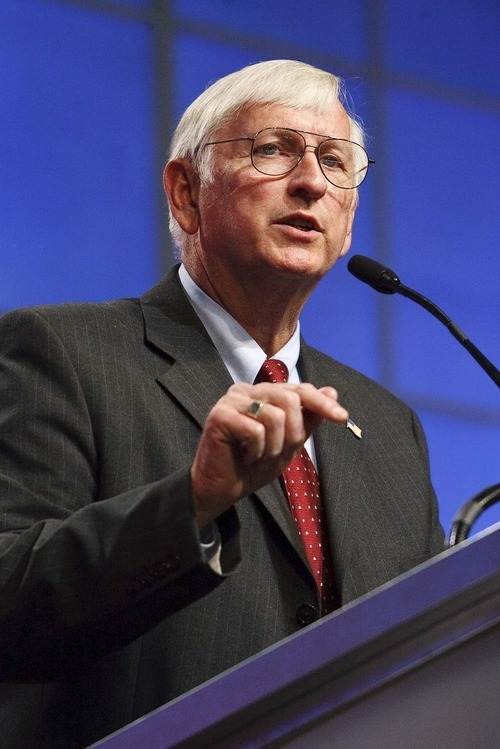 The senator has spent millions of dollars and amassed a campaign staff of more than two dozen to recruit delegates and fight the tea party wave that consumed former Sen. Bob Bennett at the state convention two years ago. 4th Congressional District • Love, the mayor of Saratoga Springs, pulled a major upset on Saturday, winning the GOP nomination and advancing to face Matheson, Utah's lone Democrat in Congress, in November. "Today we have an opportunity to do something very special. Today we can start breaking a pattern," Love exhorted delegates before the final vote. "Today we can start bringing Jim Matheson home." Love won 70.4 percent of the vote from the delegates while Wimmer captured 29.6 percent. Wimmer had campaigned for the office for more than a year, resigning his legislative seat to make his bid. He had broad legislative backing, the endorsement of Sen. Mike Lee, and the backing of legislators and Attorney General Mark Shurtleff. If elected to Congress, Love would be the only black Republican woman in Congress. 2nd District • Last-minute allegations of dirty tricks threw Utah's 2nd Congressional District Republican race into turmoil. Eureka Mayor Milt Hanks alleged right before delegates began casting ballots that four contenders had conspired to drop negative information about Stewart  charges that those candidates denied and claimed was foul play by Stewart's camp. Candidate Howard Wallack said he and other candidates pulled out of the race to try to deny the nomination to Stewart. But he still met the 60 percent threshold, defeating former Utah House speaker David Clark. "It stinks to high heaven," said state Rep. Greg Hughes, R-Draper, who supports Clark. Delegates later voted to launch an investigation how the allegations came down. Other races • Candidates Sean Reyes and John Swallow will face off in a June 26 primary in their quest to replace Attorney General Mark Shurtleff, who is not seeking a third term. The winner of the June 26 primary will run against Democrat Dee Smith in November. In the Utah Senate, incumbent Curt Bramble clinched his nomination, but Sens. Ralph Okerlund, R-Monroe, and Casey Anderson, R-Cedar City, have primaries. Both are challenged by current state House members  Rep. Patrick Painter, R-Nephi, and Rep. Evan Vickers, R-Cedar City, respectively. In the state House, primaries are set between Rep. Bill Wright, R-Holden, and Merrill Nelson; and Reps. Lee Perry, R-Perry, and Brad Galvez, R-West Haven. Thomas Burr contributed to this report.